Welcome to my story! I am a retired Graphic artist and Web designer. My husband and I lived in Germany for a number of years and ever since returning to the US our dream has been to return to Europe. During subsequent trips after our return, Italy became our go-to destination. Soon it became our dream to live there. Here are maps. 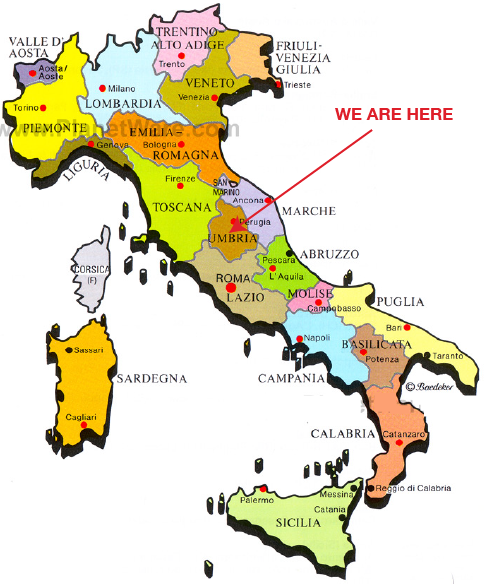 First one of Italy with Umbria marked. As you can see we are smack in the middle of the country. We are in the only landlocked state (with no foreign border) but we are exactly an hour and a half from both the Mediterranean and the Adriatic seas. 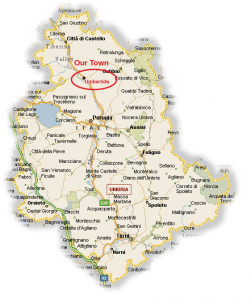 Next you will see a map of Umbria with our town marked. Now you know where we are and can orient yourself. Click for larger versions. 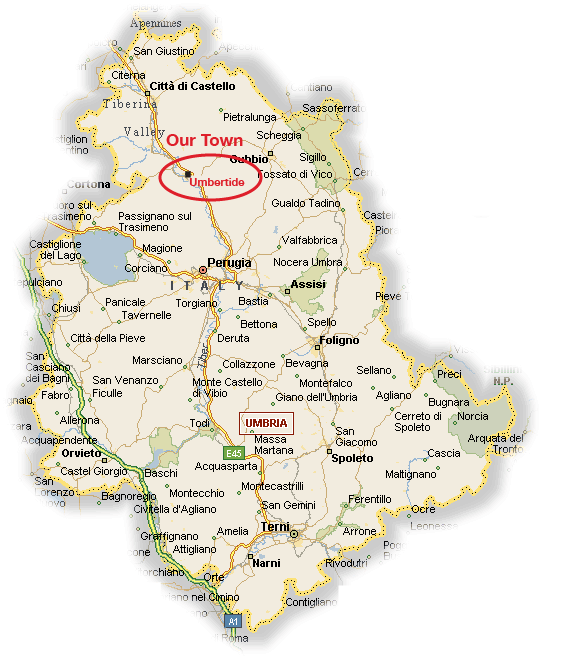 The name of our town is Umbertide. It is pronounced Um-BER-tee-day. Accent on the second syllable. Just think of Umberto, whom it is named after, and you’ll pronounce it right. To navigate the site in chronological order you need to go to the navigation on the right and chose December 2013 in the archives. This will start you from the beginning of our adventure. And this is our town!